Since Grandma didn’t write anything a hundred years ago today, I’m going to share some suggestions in the January, 1914 issue of Ladies Home Journal that addresses an age-old problem on the day after Christmas. What do you do when the children don’t play with the toys that Santa brought them? With a new doll at Christmastime little girls are made the happiest of happy little beings, since the newcomer frequently adds one more to the collection of other years, and now there is quite a family for the little mother to train. 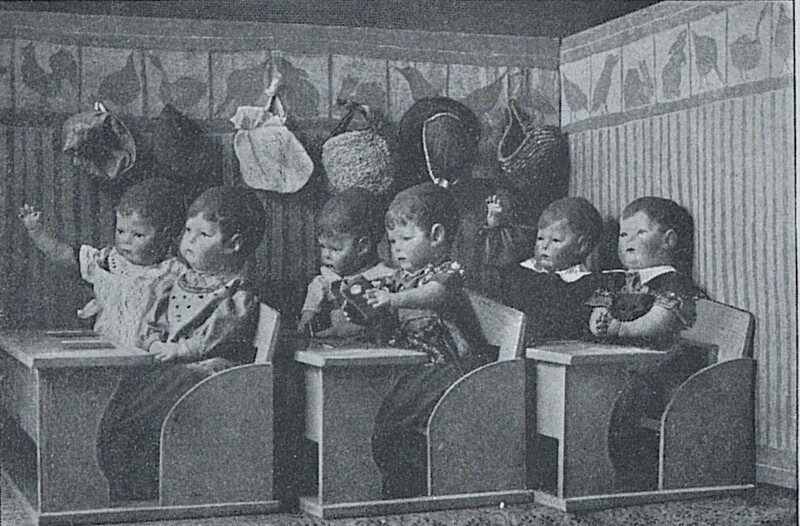 What fun it would be to have a school in a corner, if only someone at home will provide a few tables and benches which might easily be fashioned from boxes. “Let’s play ball” is suggested by the wee mites in the picture. Posted on December 26, 2014 December 25, 2014 by SherylPosted in HolidaysTagged family history, genealogy. I have to admit, I’m finding your posts kind of bittersweet these days, since I know the diary is ending soon . . . Bittersweet is a nice way to describe how I’m also feeling. I’ve already written the last post for A Hundred Years Ago–and I’m looking forward to my new blog, but definitely will miss this one. Oops–but I should also add that I hope you had a most wonderful holiday, Sheryl! I’ve had a wonderful holiday season. I hope that yours has also been wonderful. Beautiful post, I hope your Holiday Season is going as well!! Thank you! I hope that you are also having a wonderful holiday season. About 40 yrs ago I made a doll house for my two little girls. One of them still has it. 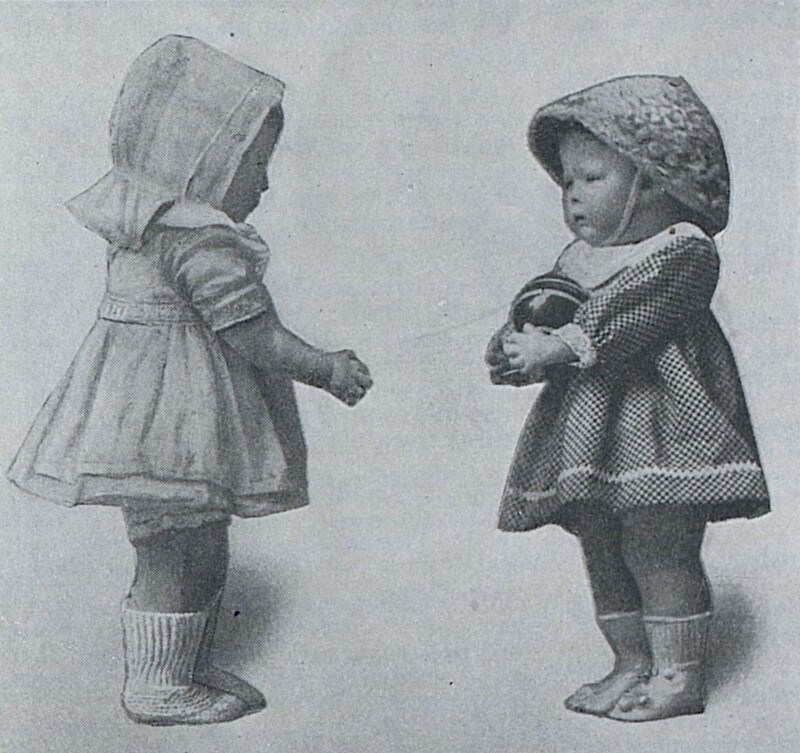 Hard to believe kids would have trouble making up games for their dolls but the Ladies Home Journal was always helpful! Hope that you’ve had a great holiday and that you’re looking forward to your blogging adventure in 2015! I think the suggestions to make things out of boxes to play with is adorable! Hope you are enjoying your holiday! It’s been a wonderful December. Happy holidays! Thank you for the kind wishes. I hope that you are also having a wonderful holiday season. It’s good to know that you are looking forward to my new blog. 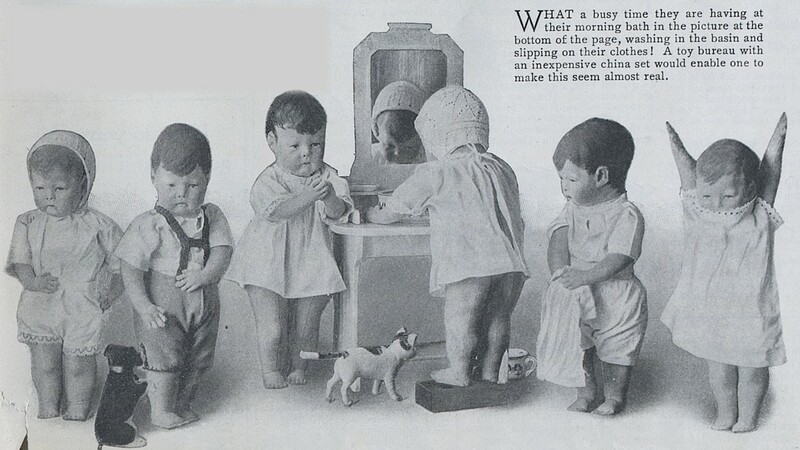 This brings back so many memories of hours spent playing with dolls. Schools, picnics, tea parties and later on as I grew I played with styles and accessorizing I sewed clothing for them. Thanks for sharing this is perfect for after holiday reminiscing. I’m glad you enjoyed this post. Your comment reminds me of a Christmas gift an aunt give me when I was a child. She created a doll clothes sewing kit for me in a Whitman Candy box. It was filled with beautiful cloth remnants for me to use to make doll clothes. I used to love to look at those remnants trying to decide which pieces of cloth I wanted to use for which outfits. I have to say I was one of those kids who never knew what to do with a doll. These dolls are just adorable – the expressions! In general, I think that I was similar to you, and didn’t quite know what to do with my dolls when I was small; though, I remember creating scenarios for Barbie dolls with my cousin when I was 10 or 11. How true–My impression is that dolls back then didn’t come already named and with a story created by advertising. Dolls are supposed to be left to the imagination of the child. I would have to believe it conditioned a little girl to mimic her own mother in learning to nurture and become imbued with the maternal qualities that foster love, compassion, empathy, protection, and companionship. I loved playing with my babydolls as a young child, yet I avoided babysitting offer once I was a teen…did not like watching most ppl’s kids…I cut lawns and walked dogs instead! When I learned I was about to become a mother for the first time, I was filled with fear and apprehension (I’d already decided I might have made mistake in marrying this man and I panicked) I must say I never knew how perfectly suited I actually was to be a mom…that doll play definitely helped me to practice those skills! Cute idea for the “school” made of boxes. It was always a thrill to get a new doll for Christmas. I still have 3: my Tiny Tears, Chatty Cathy and Shirley Temple. Hope you had a Merry Christmas, Sheryl! I’m behind on my blog-reading! And, I’m behind on responding to comments. 🙂 It’s difficult to keep up with everything during the busy holiday season. I had a wonderful Christmas, and I hope that you also had a Merry Christmas. Happy New Year! It works perfectly to use both dolls and stuffed animals. My children really enjoyed playing with stuffed animals. So much fun making things from stuff around the house … ! I agree! I used to love to help my children make things using miscellaneous items that were around the house. I also remember being really excited then I got a doll for Christmas.